Standup racing on Donner Lake. Weekly Wednesday night racing has returned to El Dorado Beach on Lake Tahoe's South Shore. This is the fourth season of the low-key, inexpensive racing series. 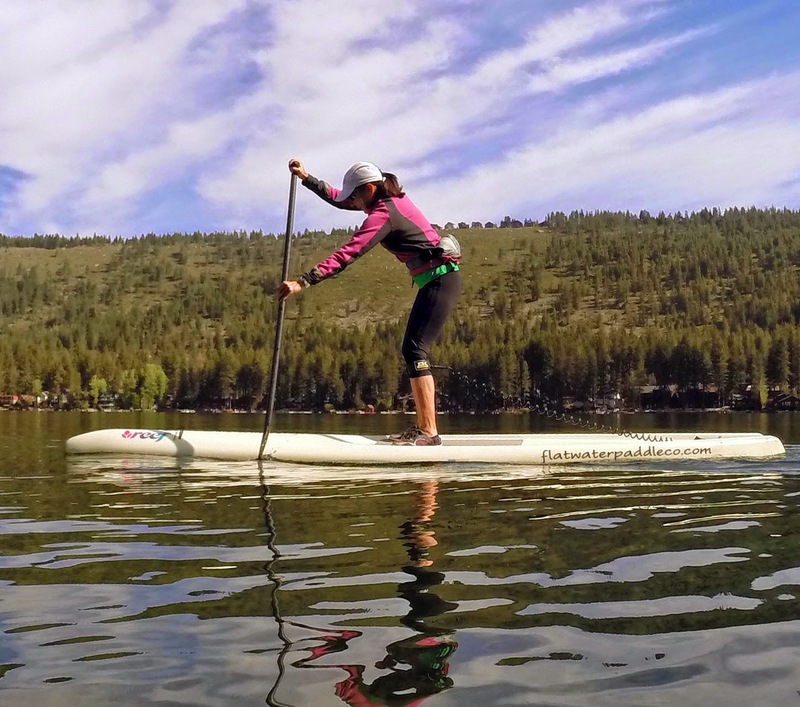 The owner of South Tahoe Standup Paddle Company, Chris Brackett, began the race series in 2011 to promote and build the new sport of Standup Paddling (SUP). The race course is approximately 2.5 miles in length and consists of multiple loops. The loop course gives paddlers several opportunities to practice their buoy turns. Slender paddleboards 14 feet in length are hard to turn for beginning paddlers. Last Wednesday night there were 60 paddlers in the race. The top finishing times were around 35 minutes and most paddlers finished under 1 hour. The season continues for 13 more weeks. The price is $20 to race if you have your own board. Equipment can be rented if you prefer. Registration begins on the beach at 5:45pm and the race starts at 6:30pm. Each entrant gets a raffle ticket for a chance to win a paddleboard at the end of the season. The course is close to shore so spectators can easily view the action.